Here at Hire A Hubby, we’re constantly getting calls from wives and girlfriends who have waited too long for their partners to finish a job around the house. We decided to investigate this trend further when we commissioned our Hire A Hubby ‘Unfinished Jobs survey 2012’, and the results are in! The survey found three quarters of Australian women believe men are less handy around the house today than they were 50 years ago. Most respondents said this was mainly due to ‘the rise of technology based careers over trades’ with plain old ‘laziness’ coming in second. The survey revealed Australian men struggle most getting jobs in the backyard completed, followed closely by painting and minor household repairs. CEO of Hire A Hubby Brendan Green said the results of the survey, which sampled 500 women aged between 25 and 65 nationally, reflected what Hire A Hubby Franchisees see everyday. “Unlike in years past when men might have been unhappy about another bloke turning up to do jobs around the house, our survey showed most male partners today are just happy to see the job completed, with only 11 percent of women indicating their partner was resentful when a handyman was called in,” he said. The survey also found it was the simplest jobs that were most often overdue around the house. Mr Green said some of the results of the survey should be worrying for home owners. Giving your garden the makeover it deserves can be a big job and it takes time, effort and propert planning to take your garden from overgrown to beautiful. Below are some tips from our Hubbies to make the garden rejuvenation process a little easier on you. Before your new garden can really take shape you’ll need to properly weed the area. This is also a great time to add weed mats to your garden beds which will make them much easier to maintain. You can buy these from most hardware stores or nurseries, but newspaper or even old carpet will do the same job. While you’re at it, if you have any dead, dying or overgrown plants, cut them back or remove them to make way for your new plants. Replant your garden beds with water friendly, low maintenance plants that look great. Your garden doesn’t have to be a chore and you’ll be surprised at how many great, easy to maintain plants are available. 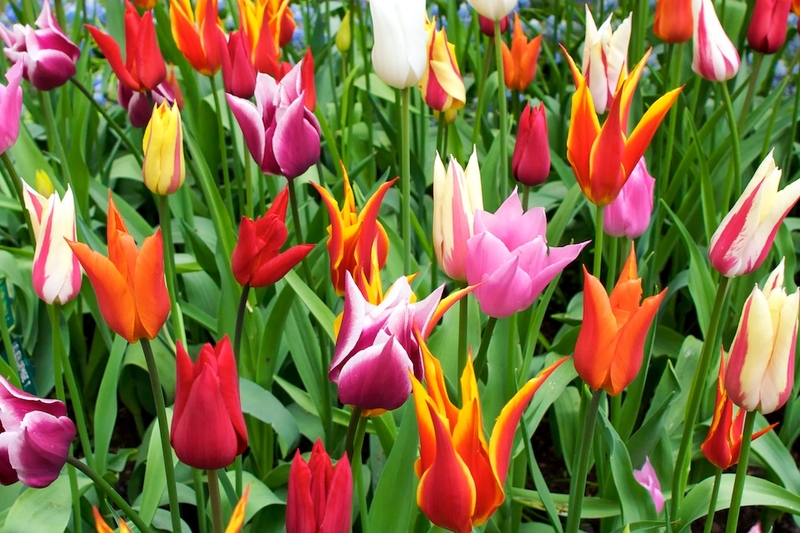 Head to Bunning’s or a Big W Garden Centre when buying plants in bulk for the best value. Also, it’s important to choose the right plants for your climate and soil type, so spend some time on plant research for best results. Mulching your garden beds gives the entire area an immediate facelift and of course it’s vital for moisture retention. Landscape supply companies can deliver bulk quantities of mulch quite cheaply. You can even get money back on some garden mulching products thanks to government rebates – check http://www.savewater.com.au/products/rebates-incentives for more info. Having a lush green lawn will lift your entire outdoor space. If your lawn is looking a little worse for wear, mow and edge the lawn then fertilise it with a good quality fertilizer mix. Fertilising will not only make the grass look green and lush, but it will also kill and control any weeds. Finish off by giving the lawn a very deep watering to kickstart the fertilization process. Cleaning driveways, paving and exterior walls is often forgotten in the garden makeover process but it can have a dramatic effect on the overall look of your outdoor area. Pressure clean these areas with an industrial pressure cleaner for best results. To add even more polish to your garden area, ensure all of your concrete paving is freshly painted with paving paint. Creating the perfect garden can be fun, but it can also be a long and demanding process. For help and advice on your garden makeover call your local Hire A Hubby Franchisee 1800 803 339 on visit our website for more information www.hireahubby.com.au. Even the best home handymen are met with tasks a little out of their reach and even the biggest DIY whizz can be found scratching their head when it comes to maintaining certain areas of the home. This week our Hubbies explore the more difficult end of the spectrum with a look at the toughest jobs around the home. Cleaning the gutters may sound like a simple job but it can be tedious and also dangerous. 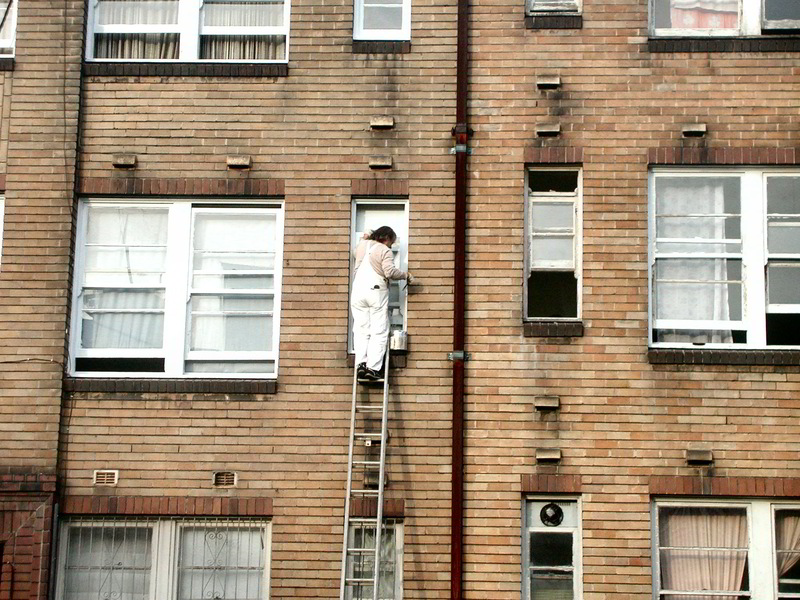 You’ll need to be up on a ladder and potentially working in the heat for quite some time to do the job properly. Check your ladder before you get half way up it. Ensure it is safe and in proper working order. Choose an overcast day if possible. Temperatures are much hotter on top of a roof than you think. Install a gutter guard to reduce the amount of times you’ll need to clean your gutters in the future. Take your time when removing the old grout with a chisel. If you rush the job you might scratch or chip tiles, and trying to go over old grout won’t fix the problem and will look awful. Be careful with grout colour as they can vary. Try to stick to the same colour as the old grout or at least the same colour as the tiles. Scrub and clean the tiles with the help of a household cleaning solution (mildew remover). When removing the old mesh from the spline, be careful. Usually the spline can be reused so you want to avoid cutting or damaging it. Wash it in soapy water and it’ll be good as new. Make sure you measure the frame correctly and then using your handy utility knife cut the new mesh to size – but ensure the mesh is at least 40mm wider than the frame. To ensure the new mesh sits straight in the frame, the weave in the mesh needs to be parallel to the frame when installing. Make sure you have all the tools you need and use the right brush for the right job. The basic tools you’ll need are a paint roller, flat brush, angle brush, ladder, drop cloths, paint trays, masking tape and paint thinner. To stop stains from bleeding through your new paint job ensure you apply a primer coat before anything else. Cleaning the walls with warm water and detergent prior to this won’t go astray either. No matter how careful you try to be, the odds are that you will make a mess and paint will spill and drip during the process. To protect your home, move your furniture to the middle of the room and cover everything with drop cloths, including the floor. There are a few unusual tools required for this job and if you don’t have the means or the steps sound a little too tricky then leave it to the experts to carry out a flawless paving job while you sit back and relax. For more information on Hire A Hubby property maintenance services visit our website www.hireahubby.com.au or call us on 1800 803 339. Walk into any hardware store and you’ll immediately be confronted by a huge range of tools available for almost any job. 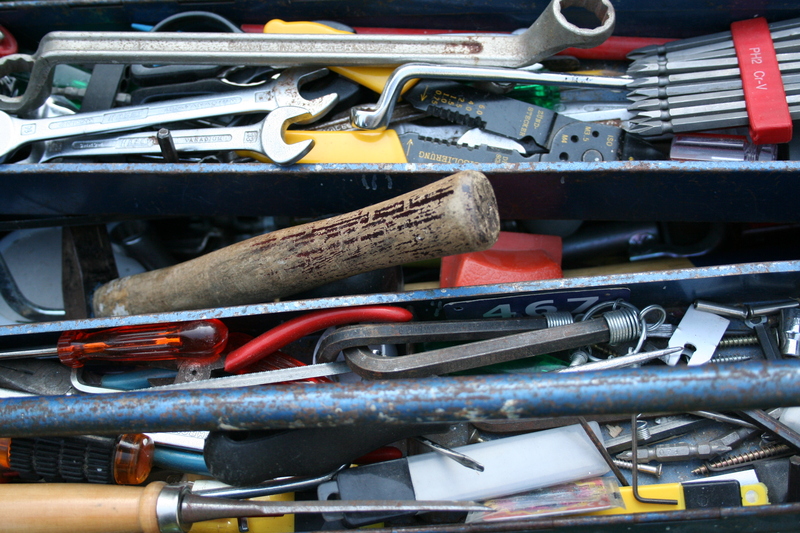 While it can be a little overwhelming, there are a number of tools that every home handyman should have in their possession. Check out our Hubbies “Top Ten Must Have Home Handyman Tools” below for the most crucial items in any good toolbox. The most basic of all home handyman tools, a curved claw nail hammer with a rubber handle is the pick of the lot. Opting for a rubber handle will provide greater comfort in the long run. A handy 6-in-1 screwdriver is less expensive than a full screwdriver set and has all the basic heads that you will need including flat and Phillips heads. A cordless drill will minimize the time and elbow grease required for many jobs. While you’re at it buy yourself a quality set of drill bits to ensure you’re equipped for every situation. Slip joint pliers are your best bet. We guarantee you’ll find yourself reaching for these in many a DIY situation. Whatever you call this tool, it’s an absolute must have. You’ll find this one particularly handy in the kitchen, bathroom and laundry, where leaky taps and fittings often require tightening. A good quality utility knife will easily glide through many tough materials and it’s an awful lot safer than reaching for a knife from the kitchen draw. A definite must have. A job done well is a job done straight. Judging whether something is straight with your eye is near impossible, so a spirit level is vital for many a DIY task. With so much modern furniture requiring assembly these days a decent set of Allen keys can be a Godsend. Good quality sets can be purchased inexpensively from any hardware store. Accurate measurement is essential for producing quality work, meaning the trusty tape measure is the tool that rounds out our list. Ensure you have one in the tool kit. While there is some expense in purchasing these tools, take it from us, they will be well worth the investment in the long run. Alternatively, you can simply leave your property maintenance jobs to the experts and give Hire A Hubby a call on 1800 803 339 or visit www.hireahubby.com.au for more information.